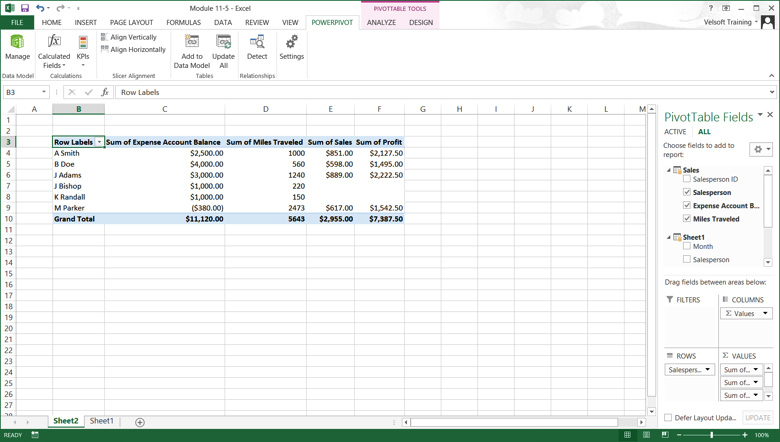 In this article, we will delve a little deeper into how to create a PivotTable with PowerPivot Data in Microsoft Excel. For instructor delivered Microsoft Excel training classes in Chicago and Los Angeles call us on 888.815.0604.. If you see a security warning, click Enable Content. 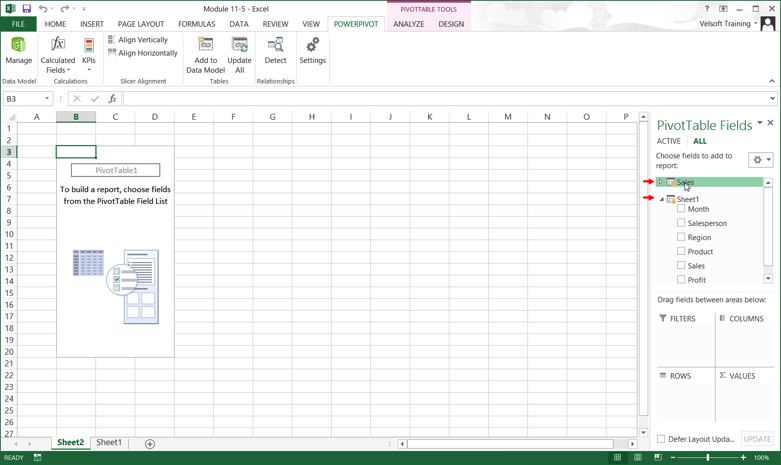 Ensure that the PowerPivot tab is displayed on the ribbon. If you do not see this tab, please complete the steps in the “Enabling PowerPivot” topic first. Then, you would need to refresh the PivotTable in Excel by clicking PivotTable Tools – Analyze → Refresh. Join our 1-day Excel workshop. We run classes for every skill level each month. Check out our student testimonials Excel class reviews.